N.B. 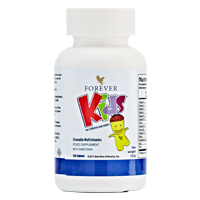 Ages 3-6: two tablets per day under adult supervision; ages 6 and up: four tablets per day. Not suitable for children under 3.